Krishna West Panamá : What Does OM Really Mean? One famous swami even said that OM is the essence of the self – it is the “I” that everyone needs to know. But few seem to know what the mantra actually means. To truly comprehend the depth and profundity of “OM,” we have to go back to the ancient Indic texts known as the Vedic literature, to the seed-mantra, Omkara. But before this, it might be worthwhile to know that OM is not a sectarian sound, nor is it peculiar to Hindu notions of divine mantras. Indeed, the sacred syllable is evoked by the well-known Judaeo-Christian utterance “amen,” which is a variation on OM. Similarly, Muslims say “amin.” All of our English descriptions of God, too, begin with OM – omnipresent, omnipotent, omniscient. The prefix omni, then, might be seen as a slightly veiled manifestation of OM. Although the mantra is generally written out as “OM,” the letters “A – U – M” more accurately convey its inner meaning. And it is indeed inner meaning with which we are here concerned, for, as some scholars will tell you, the mantra has no distinct translation or literal definition. Still, AUM does consist of the first (A) and last (U) vowels of the Sanskrit alphabet, along with its last consonant (M), which, according to Vedic seers, carries deep meaning. To them, AUM as “the perfect word,” encompassing “all truths that words can convey.” They proclaim this truth throughout the Vedic literature. Here’s one example, as expressed in the ancient Chandogya Upanishad (2.23.3): “As leaves are held together by a spike, so all speech is held together by AUM.” And another from the Katha Upanishad (2.5-17): “The word that all the Vedas rehearse, and that all austerities aspire to, desiring which students live a life of spiritual penance – I declare it boldly: That transcendent word is AUM!” There are many such verses, and some of them will be cited later in this essay. Vedic texts inform us that there’s more to hear than meets the ear. This is especially true in the modern era. Engulfed by every imaginable type of sound, we are now hard pressed to use our ears as they were originally intended. In fact, human beings are physically unable to perceive certain portions of the known vibratory spectrum. While extremely sensitive to sound waves of about 1,000 to 4,000 cycles per second (cps), we are all but deaf beyond 20,000 cps. Dogs and cats, on the other hand, can hear up to 60,000 cps, while mice, bats, whales, and dolphins can emit and receive sounds well over 100,000 cps. The sense of hearing . . . connects experientially with the heart, and music and sound touch us most directly. We do not resonate so deeply with the visual as with the auditory. This may be explained by the fact that our visual apparatus has a frequency range of slightly less than one octave, from infrared to ultraviolet, whereas our auditory system has a range of about eight octaves, approximately 60 to 16,000 hertz, or number of vibrations per second. We are sensitive to sound frequency as pitch and to light frequency as color. The frequencies of the visual field are much higher than those of the auditory field (by an order of 1010), and, as is well known, the higher the frequencies, the lesser the penetration of a given material. For instance, a piece of cardboard shields us easily from the light, but it takes a thick wall to block out sound, and the lower the pitch the deeper the penetration. We are very sensitive to sound, not just through the ear but through our whole skin, and all our organs are affected by it. And we are especially sensitive to mantras, such as AUM. Although the divine syllable is recognized in nearly all spiritual traditions originating in the East — from the Buddhists of Tibet to the Vedantists of Benares — few elaborate on its actual meaning. At best, AUM, the supreme combination of letters, is thought to be an exotic, impersonal utterance – an abstract feature of the Absolute, chanted by yogis and swamis in India (or by Westerners adopting an Eastern form of spirituality). This is certainly true, but AUM goes much further than that. According to the ancient Indian traditions articulated in the Upanishads, all speech and thought are derived from that one sound: AUM. Here, say the Upanishads, in a mere monosyllable, we have expression of ultimate reality. The original sounds of creation hearken back to this sonic representation of the Divine. According to the Puranas, sound is the origin of ether, or space, the most subtle of natural elements, and it is also the source of hearing. Sound has the quality of conveying the idea of a given object, which exists in space, or ether, and it is also, in a sense, considered a subtle form of that object. Further, sound indicates the presence of a speaker, or an initial source, and thus hints at the existence of the Supreme Speaker, or God. All of this is indicated by the mantra, AUM. In the science of linking with God, or yoga, AUM plays a significant role. Patanjali’s Yoga Sutras (1.23-1.29), for example, recommend recitation of the AUM mantra as a direct path to self-realization. According to the sutras, focusing on this transcendental sound, along with developing sensitivity for what it represents, brings both God-realization and the removal of all obstacles on the path. Along similar lines, yoga teaches us that the letter “A” symbolizes the conscious or waking state. The letter “U” is the dream state, and the letter “M” the dreamless sleep state of mind and spirit. The symbol as a whole, then, stands for all states of conscious awareness Other yoga groups underline the seven levels of consciousness and how chanting AUM addresses each one. Initially, there are four primary levels described in yoga texts, and these, in turn, are complemented by three transitional levels, which gives us a total of seven. Serious practitioners of yoga will experience each of these levels while on their inner journey. One who chants AUM, the sonic form of Brahman, Spirit, quickly approaches ultimate reality. AUM is described throughout the Vedas and by the great spiritual masters of India as the seed conception of theism. As a tree or fruit begins with a seed, so does everything begin with AUM; even the Gayatri mantra, considered by many as the mantra par excellence, begins with AUM — the Vedas begin with AUM, the Upanishads begin with AUM, the Vedanta-sutra begins with AUM, and the Srimad Bhagavatam, the essence of all Vedic texts, begins with AUM. Therefore, it can safely be said that the divine journey, or the search for transcendental knowledge, begins with this sound vibration. And yet AUM goes further than that. 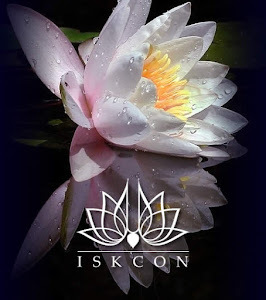 In the Bhagavad Gita (9.17), Krishna Himself identifies with the mantra – “I am nondifferent from the syllable AUM.” As such, this sacred syllable is known as the maha-vakya [“the great saying”] of the Vedas, and can thus be considered on an equal level with the maha-mantra (Hare Krishna, Hare Krishna, Krishna Krishna, Hare Hare/ Hare Rama, Hare Rama, Rama Rama, Hare Hare), at least when heard from the lips of a self-realized soul. The Gopal-tapani Upanishad brings our understanding of the mantra still further — reinforcing its identity as the Supreme Divinity. 1. Katharine Le Mee, Chant (New York: Bell Tower Publishing, 1994), pp. 28–29. 2. 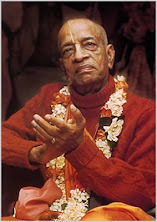 A. C. Bhaktivedanta Swami Prabhupada, translator and commentator, Caitanya-caritamrta, Adi-lila 7, verse 128, purport (Los Angeles, California: Bhaktivedanta Book Trust, 1991, reprint).